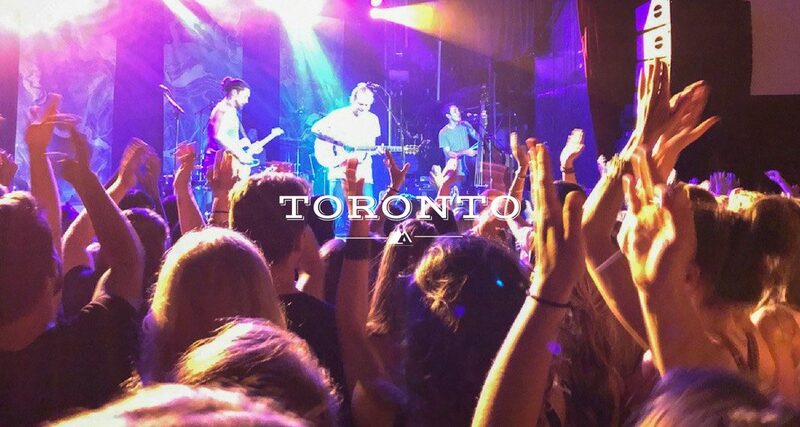 Toronto has such a solid music scene, almost every week you can find a concert or artist that you know of and would love to see, so when I found out Trevor Hall was going to be playing at the Mod Club during my 2 month stay here, I knew it was a show I did not want to miss. If you don’t know who Trevor Hall is, he is a down to earth, American folk singer and songwriter. The opening act was by Will Evans, a singer I had not heard of before the concert and now after seeing him live I am definitely a new fan. Even though he was a solo opening act, Will Evans was a full one man band. Former front-man for Barefoot Truth and national finalist in various talent contests, Will put on an incredible, energetic show. For every song he created his own beats, melodies and harmonies, basically the whole song was pieced together from scratch and looped together. As he play he engaged the crowd, warming up the venue with some great music. His guitar skills are top notch and some of his breakdowns reminded me of how Tim Reynolds shreds. 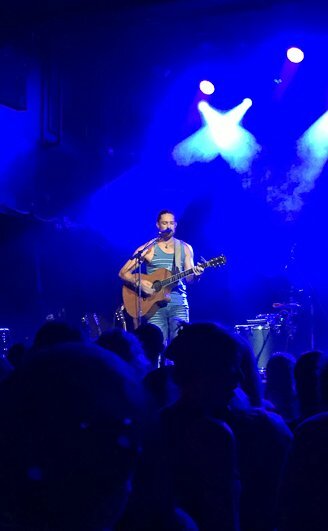 After an hour solo show he actually joined Trevor Hall’s band, playing various instruments from the didgeridoo to drums and electric guitar. 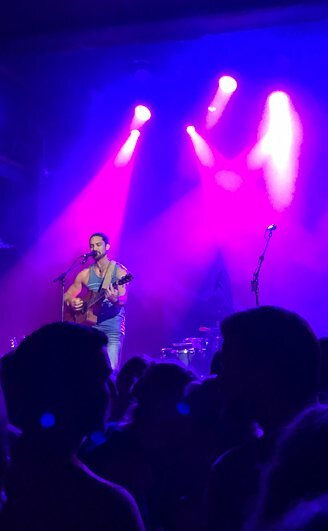 When Trevor Hall first came on stage, the amount of high pitched love screams I heard made me realize that I might have been the minority in the crowd, sorry ladies he is married, but this also shows you how truly loved his music is. 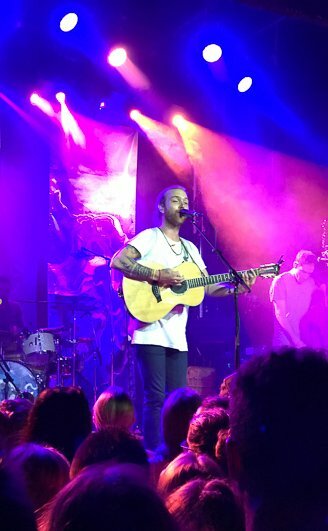 Trevor Hall is such a down to earth individual and his music draws on a peaceful, love for everything and everyone. He has built such a dedicated following, that he received wrapped gifts from fans on stage and after he mentioned that it was his wife’s birthday, the whole crowd burst out singing happy birthday to her, most even knowing to sing her name without him ever mentioning it. 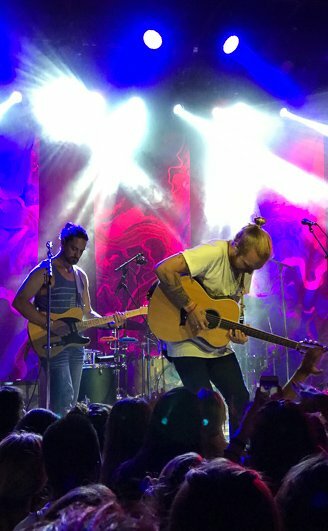 Trevor Hall and his band put on such a top notch show. Everything about this concert was near perfect. 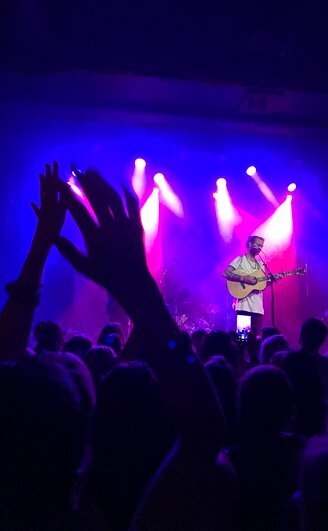 Trevor Hall sounded fantastic, his vocal skills are brought to a whole new level live and the band played their hearts outs on every song with some incredible interpolations. 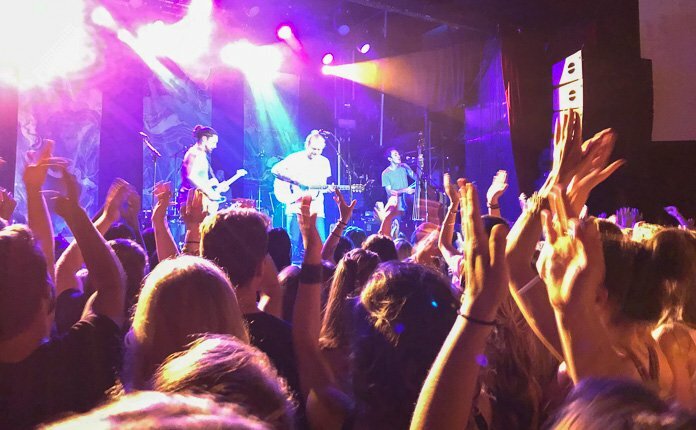 As a venue itself Mod Club is pretty good for music. Located in the Little Italy district, on College Street and near Ossington Ave, getting to here is not difficult. The size of the venue is just right for concerts and the layout is easy to navigate. Mod Club has two bar areas that flow customers through pretty fast. The bathrooms are downstairs and accommodating for the venue size. Ticket prices run cheapish and they do cost more the day of show at the door vs. online. 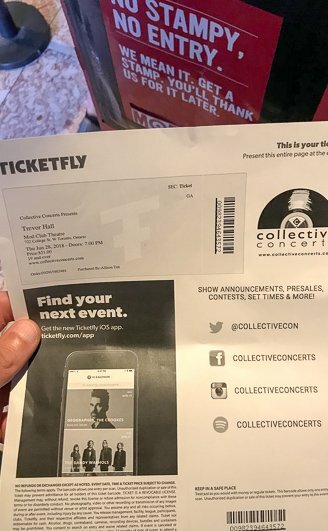 I had a great time seeing Trevor Hall live and I am glad that I went down, I almost did not go because I was going to be by myself. Emma was working that night and I knew I would regret it if I did not go. As standard pre-concert procedure I had a couple beers at Emma’s before hopping on the 45 minute or so public transit to the venue. I arrived at the perfect time, I was getting money out of the ATM to buy a ticket and a couple came in handing out extra tickets for free! I thanked them for the free ticket and I offered to get them a beer in return for their generosity. Thanks for the free entry ticket! Not realizing that I had been to the Mod Club two years before, too many beers at the Naked and Famous concert, I arrived early enough to do a walk around and I ended up chatting with the merch guy before Will Evans got on stage. Will put on a great one man show, I was so impressed by his talent. 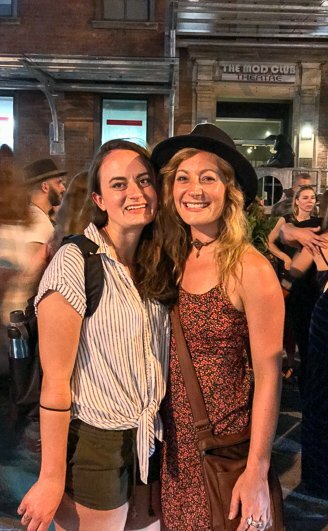 After his set I went downstairs to use the washroom, when I came back up I actually ran into a girl I knew through Emma’s past work, she was here with a friend and let me join them so I did not have to stand alone like an awkward weirdo anymore. 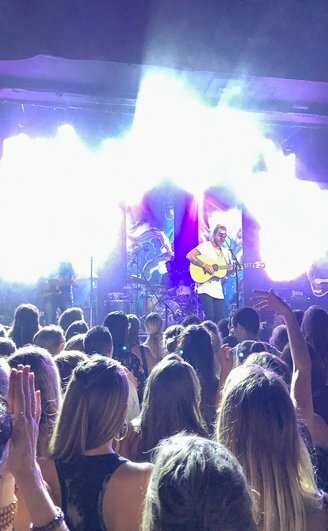 Trevor Hall’s show was fantastic. It was everything I thought his live concert would be like, didgeridoos, multiple drums sets, awesome vocals and a great atmosphere. During his set I texted Emma telling here I was with her friend, whom she had not seen in a long time. Luckily she got off work early enough to come down and join us for the last 2-3 songs! After the show we all did a quick walk around Little Italy and had a drink to chat and catch up. Cool randomly running into people in the city! All in all it was a great relaxing evening with Trevor Hall. The concert ended up selling out and well deserved of that. 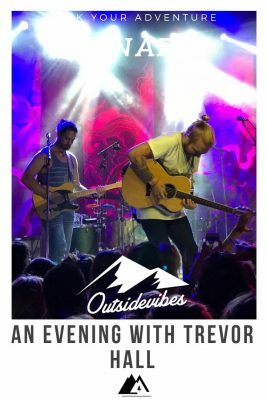 Trevor Hall and his band, along with Will Evans created a fantastic few hours for everyone and I recommend seeing them if they come to your town. If you want to learn more about my summer activities visit the Destination Canada page or check out my Waterfront Cycling Trail experience!